The Luxury Network, in partnership with Palma Holding and Rolls-Royce Motor Cars are hosting an exclusive Saturday Sunset Event at Serenia. The Luxury Network in partnership with Ascots & Chapels are hosting an event to celebrate the launch of the CEO Fabric Collection. The Luxury Network UAE in partnership with Evoke International are hosting a Luxury Soirée Spectacular and Showcase Event. The Luxury Network UAE and Dukes Dubai are are hosting their first B2B members new business development seminar of 2019. 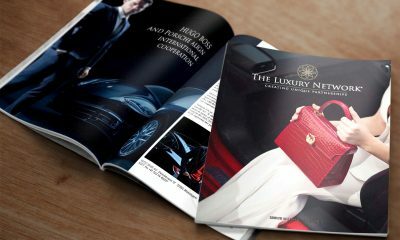 The Luxury Network UAE, Luxuria Lifestyle Magazine, The Heart of Europe and Evoke International are hosting an exclusive business to consumer luxury event. The Luxury Network UAE, in partnership with Emirates Woman Magazine and Evoke International are hosting a ladies-only luxury reception and showcase event. The Luxury Network UAE are hosting their next members new business development seminar with co-hosts The Heart of Europe.